Size of this preview: 473 × 599 pixels. Other resolutions: 189 × 240 pixels | 379 × 480 pixels | 474 × 600 pixels | 606 × 768 pixels | 808 × 1,024 pixels | 2,250 × 2,850 pixels. 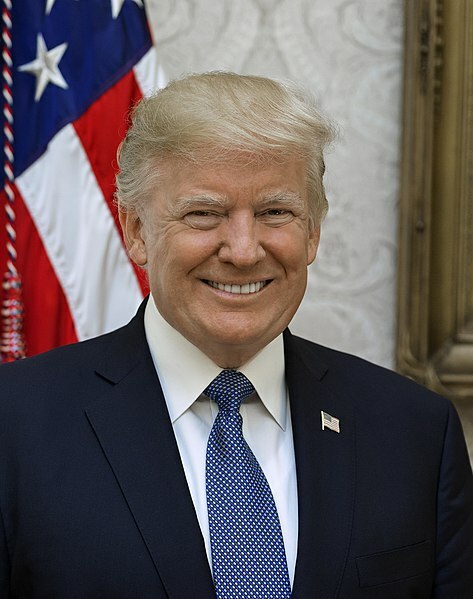 Official White House portrait of President Donald J. Trump taken by Shealah Craighead on October 6, 2017 in Washington, D.C.
09:35, 20 August 2018 2,248 × 2,848 (1.92 MB) Love letter from mimi-chan Reverted to version as of 09:13, 20 August 2018 (UTC) E! 08:14, 14 August 2018 2,250 × 2,850 (1.89 MB) Wow .